The Survey Spain Network of RICS Valuers and Building Surveyors in Spain has gathered the opinions of some of their members with regard to how the residential property market will perform in 2015 in the principal expat and second home areas of the Spanish Costas. Whilst they have all analysed general market statistics, these opinions are based upon the invaluable personal experience of surveyors who have lived and worked in Spain for many years. Many of the comments for one area of course can be applied to the Costas market as a whole. The market will still be dominated by oversupply, but the portfolios of bank properties will no longer be coming onto the market in such quantity and depressing prices so significantly. Some new development of single family houses in good locations will be completed, such as in Javea with sea views. Until the politics are settled, the demand from Russia will increasingly falter, but other Northern and Eastern Europeans will still see prices as cheap and good properties in good locations will sell at the right price. Suspension of the PGOU has paralysed the planning process in Denia and the situation is unlikely to improve until after the elections in May. The best performing area, but still with prices reducing, is Orihuela Costa and the worst performing is Torrevieja, which has seen a drop of more than 8% in the year. The forecast is a similar situation to CB North, with significant oversupply in the market slowly being absorbed, but almost no new development in evidence except small complexes or individual houses in prime front line locations. Prices reduced across the board, with a few exceptions, such as La Torre de la Horada where there is consistent demand from residents of the city of Murcia for summer homes, which has maintained prices. Almeria and Murcia – two views, the first being from a professional linked to the Spanish market, whilst the second is from a valuer involved principally with the expat market. The market is moving slowly, but is moving. The lack of bank credit is one of the main problems and even more when the property doesn´t belong to the bank. Sale prices are unlikely to increase over the next year. People are looking for bargains, especially when they don´t need a bank loan and are paying in cash, knowing that there are thousands of properties for sale. These comments relate principally to detached or semidetached houses and it doesn´t matter if they are inland or on the coast. According to solicitors in all areas, there are fewer movements in Almería compared to Torrevieja and Murcia areas. Within the Almería market, location is critical. Prime coastal locations, such as Mojacar, have had a good sales year and prices have stabilised. Local agents are expecting an equally good, if not better 2015. 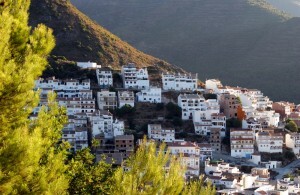 The more inland, the more difficult and there are some particular ‘black spots’, such as properties in the Almanzora valley, where there are hundreds of ‘blighted’ properties that the Junta de Andalucía considers to be ‘illegal’. Recent demolitions have made people even more nervous of the area. Further up the coast into Murcia, some of the Polaris World type resorts are particularly difficult to shift, as their locations are poor, there are still many bank repossessions and the infrastructure within the resort is poor. Established coastal locations are doing better, albeit at much reduced prices and in many places prices are still falling. Some of the more ‘off’ locations have lots of properties, which may not be possible to sell at almost any price. Overall, expect a continued improvement in 2015, with prices at least stabilising. The strong Pound/Euro is also helping the market recover, but these remarks only apply to the ‘ex pat’ and not the domestic market, which is still in deep trouble. The whole thing turns on whether the media wake up to the fact that nothing has changed since the last euro “crisis”. The Spanish deficit is the same. Tax revenues have not improved. Only superficial structural changes have been made to the labour market. A euro “crisis” is what puts foreigners off buying property in Spain and they are the only section of the market that is active as the domestic market is starved of finance and people don’t have the job security and sense of well-being to buy a second home. If the media reports on a new euro crisis, this will reduce demand for property on the Costa and therefore prices. So if the media are kept busy with terrorist attacks and other worldwide matters, then we will continue to see modest and steady growth. However, if they get bored and start stirring things up or if there is a political event such as Greek government refusing to pay, or some kind of banking / financial event that catches their eye, and they start to report on a euro “crisis” then the modest “comeback” we have seen will falter. Costa del Sol – two views, the first being from a professional valuer involved principally with the expat market, whilst the second is from a building surveyor formerly involved in project management. The Costa del Sol market will maintain its present course of improving year on year. Sales for January to June 2014 rose by 35% on the previous year and I expect this to increase further. The only stumbling block to growth would possibly be the recent crash of the Russian rouble. Russian investment has contributed significantly to these recent increases and I expect this to wane. I also expect to see a rise in prices in the more popular areas like Marbella and Benahavis as the existing stock is being bought up quicker than many other areas. I expect to see less growth in areas like Mijas and Benalmádena that have as many properties available, but still expect sales to increase. It will be interesting to see how Sotogrande develops with the recent purchase by two private equity funds. I assume they will be investing to add value to their purchase; however, it’s effects may be seen only in a longer term than next year. I have been speaking to several developers who are planning luxury developments, as well as several architects who tell me that they have clients planning both developments and private villas and both the banks and the agents I have spoken to indicate that there are quite of lot of potential buyers looking for apartments and villas, either new or distressed directly off the bank. Many agents have had a record year in 2014 and they believe the trend will continue into 2015. The banks are also relaxing their attitude and appear to be ready to deal on distressed properties and are now actually offering mortgages, but only under strict conditions. All in all, the outlook for potential purchasers appears to be quite good. SUMMARY – from the headquarters of the Survey Spain Network with the advantage of more than 15 years working in the Spanish market and more than 47 years of working as an FRICS General practice surveyor and valuer. The general optimism of last year continues, although all have concerns at the continuing problems of the rouble and increasingly again with the euro. The Russians were keen buyers in 2014, but problems with their home politics and currency made them more nervous about committing substantial funds to the relatively illiquid investment of a house in the sun. The acquisition of EU residency is likely to be increasingly attractive, but it may be that the funds will be put into more easily liquidated investments in order to obtain it. With the reduction in value of the euro as against the dollar, pound and Scandinavian and especially the Swiss currencies, property in Spain will appear to be even cheaper than before for buyers from those countries. The Spanish banks and institutional investors who have bought from them still have substantial portfolios of properties, but they’re tending to be a little harder on the discounts as they can offer a mortgage, which they know private sellers cannot. Accordingly, private sellers have to offer significant discounts on their asking prices to sell, which will continue to drive the market down. However, as always, the best properties in the best locations will attract interest and for those the prices have certainly stopped falling and may in fact be increasing. For secondary and other properties, it’s unlikely that there will be any significant change in price, fortunately in either direction, over the next year. This entry was posted in Building surveys, Buying a property in Spain, Chartered Surveyors, News in Spain, RICS, Spanish property, Survey Spain and tagged Benahavis, Building Surveyors in Spain, Campbell D. Ferguson, Chartered Surveyor inSpain, Chartered Surveyors, FRICS, FRICS General practice surveyor and valuer, Marbella, Property Forecasts 2015, Survey Spain, Survey Spain Network of RICS Valuers and Building Surveyors in Spain, The Costa del Sol market by admin. Bookmark the permalink.